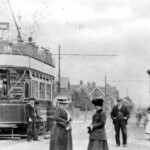 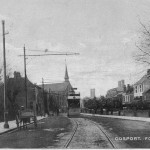 Today in Gosport’s Past:- on Wednesday 24 January 1906, the good folk of Gosport were able, for the first time, to travel on electric trams around the town. 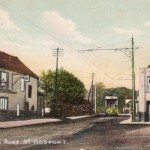 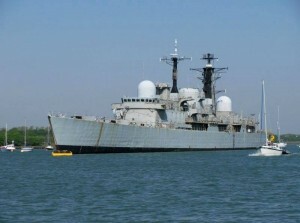 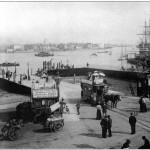 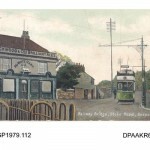 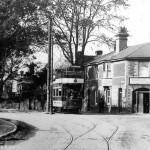 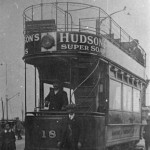 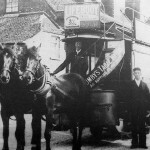 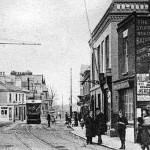 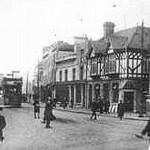 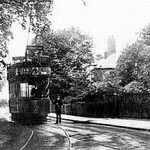 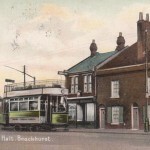 Since 17 July 1882, it had been possible to travel on any of 8 horse-drawn trams over two routes: from Gosport Beach (the ferry) to Bury Cross (The Wiltshire Lamb), and from Gosport Beach to Brockhurst (the original Brockhurst terminus had been close to The Artillery Arms and The Sun in Brockhurst Road, but later extended to the end of Elson Road). 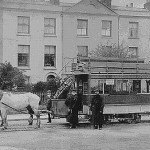 The horse trams ran on 3ft gauge track, and the tram company had the tracks (from both directions) in the High Street leading through the old coach entrance of The India Arms Hotel into the yard behind, where the horses and trams could be (literally) stabled. 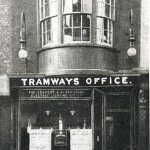 The entrance can still be seen today, although the India Arms closed in the early 1960s, and the tracks can’t have lasted for long after the tram tracks were removed. 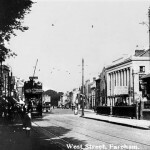 The gauge for the new track for the electric trams was 4ft 7.75in, and as well as replacing both horse tram routes, it was now possible to travel all the way to Fareham, where the terminus was close to Fareham railway station. 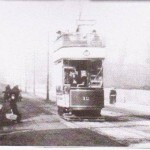 The tram depot was built at Hoeford, and ready for use in November 1904, adjoining the power station, which had been built in 1902, and which provided electricity for the trams, of which there would be 13. 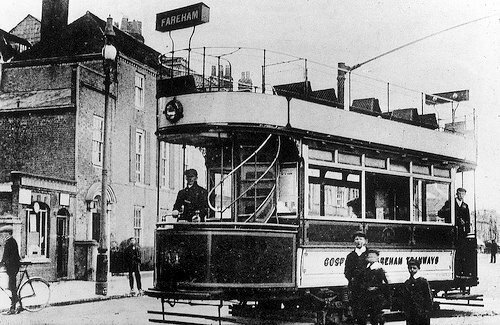 The electric tramway was one of the first in the south to be replaced by buses; the Bury Cross service ended sometime in 1905, months before the other route, and by the time the last trams ended service, on 31st December 1929, the Fareham route had been cut back to Brockhurst, although track would still have been in place, at least as far as Hoeford depot, as trams had to go home at night. 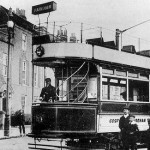 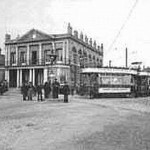 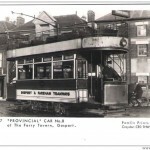 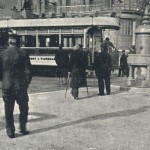 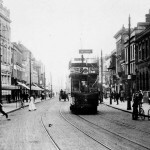 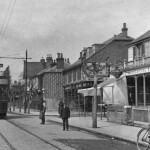 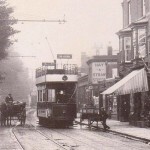 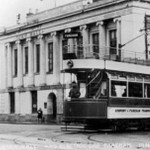 The last of Portsmouth’s tramways were used until 10 November 1936, while in Southampton, where the first electric tram services had begun on 22 January 1900, the last trams operated on remaining routes until 31 December 1949. 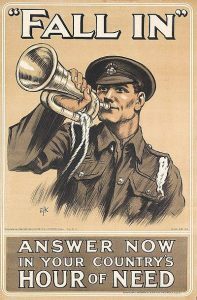 Here are some relevant pics; credits to original photographers.